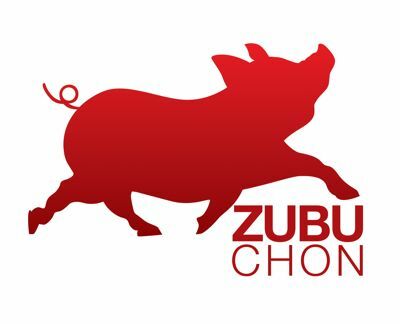 Thank you to reader “Jeff Chang” for his comment yesterday on my ZUBUCHON LOGO post here, asking if we had the copyright to the pig logo as he had noticed it apparently used by another business, a chicharon one based out of Carcar, Cebu. He sent me a jpeg image, and after a few clicks on my keyboard, I managed to find this post with the image used online (the logo was taken down within a couple of hours of my publishing this post, but I retain a copy of the logo in use for proof/my files). In answer to Jeff, and anyone else who is curious, YES, the pig logo was designed for and is registered by Zubuchon/Zubufoods, Inc. Our registration was approved by the DTI and proper authorities and we are the sole owner of that particular pig logo in the Philippines. We have also registered Marketmanila and several other derivative names on the ZUBU theme, and it took a significant amount of documentation, legal consultation, repeat visits, substantial fees collected by the government and we have received written confirmation/approval that the names and logo are registered officially. 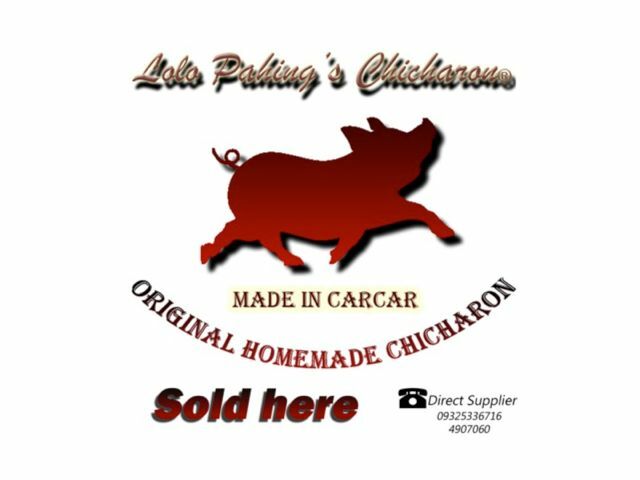 So this is the second instance where a reader or consumer has noticed an apparent “logo-napping”… The first one was for a food outlet selling fried pork, which I wrote about here last March 2010, while our logo registration was still in process at the DTI. A follow-up post was posted here. As usual, I am appalled that someone would even think it is remotely appropriate to simply copy another logo and present it as their own. I googled “pig logo” and found dozens and dozens of logos, with one red pig vaguely similar to Zubuchon’s, but definitely different enough to be unique. I then googled “lechon logo” and noticed that two Zubuchon pig logos appear, and if you click on either, there is the caveat from google “that the photo may be subject to copyright”. If you click on either logo shown, it leads back to either marketmanila.com which explicitly states it is the company’s new logo, or it leads to a blog which indicates the opening of Zubuchon. So to say one is unaware that this is the logo of an existing business is simply incredible. So what is it? Are so many business owners simply ignorant of what is right or wrong? Is the concept of copying logos or artwork so ingrained in our psyches that it is considered acceptable? Are we so intellectually LAZY? This pisses me off. And again, there are slight changes to the logo, as if that makes “stealing” it okay. The pig is now shadowed, and the gradient of red color from light to dark is reversed. Thankfully, the company indicate their contact numbers for us to easily call them later today when Carcar opens for business. I hope they have the decency to simply stop using the logo and immediately remove all traces of it from the internet, their store signage, packaging, etc. and issue an apology, or face the legal consequences. Our lawyers will give them a ring soon. Marketman as jerk magnet indeed. P.S. Have any readers from the Alabang/Las PiÃ±as area noticed how the Ultimate Prito Experience is faring a year after it opened? Does it have a tasty fried liempo I should be trying? Is the store still located on the Alabang/Zapote road? Did they come up with a new logo? Tsk, tsk, tsk…the first rant of the year. I’m from Las Pinas. After the whole stolen logo fiasco, they kept operating under the name Ultimate Prito (with no logos, just the name) for a few months, but towards the end of 2010 I noticed they seem to have shut down completely. Karma really is a b*tch, eh? I believe that a graphic designer / layout artist should at least know how to create a pig from scratch. It is not that difficult. Small circle, small circle, big circle. the one who did that thing has a love affair with the drop-shadow, bevel and gradient feature of Photoshop. MM, I wonder why the logo / business name registration office of DTI does not inform new business owners that their intended logo is already licensed to someone else. If they could just do a little more legwork, you could have been saved the agony of a repeat of the logo-napping incident. The results of sloppy work from a graphic artist. Maybe they hired someone to do it and the owners are not aware. Giving them the benefit of the doubt. Btw, maybe you can give your pig a name, like “Zubie”, and then have a ‘spot Zubie’ (in other establishments) contest and win a Zubuchon! Quillene, when one registers a business name with the DTI, the latter need not pre-clear with the IPO. One works independently from the other. There is no coordination between the two government agencies yet. Same is true with the FDA and the IPO. i live in alabang and everytime i pass the zapote road, i look out for the “fate” of ultimate prito. at no time did i ever see the place busy! maybe it is a night place?— i pass the area only during the day. as a people we do not seem to appreciate — much less respect — copyright laws. and with the advanced electronic technology, such as high resolution scanning, images are just copied and published without so much as the courtesy of asking the permission of the author and publisher of the books where the images were originally seen. to expect to be acknowledged is asking for the moon. this is a practice done even by the biggest publishers in the country who make millions churning out textbooks! It could be that the logo is close to being generic. I see the same logo on some sandwich/deli shops around here in Cali, specially the ones serving pulled pork sandwiches. Just my 2 cents. Maybe you got duped by the dude who created ir for you guys. Simply laziness and lack of creativity, morphed into theft of IPR. Probably copied from classmates back in school. Please keep us up to date on this. It’s really pathetic how people here seem to think that theft (of all kinds) is acceptable. Sad state of affairs indeed. MM, theft of this type – intellectual property – relates to your previous discussion of speeches lifted from the internet, et al. Gej, that sounds a lot like Fr. Macayan. Uh oh. Stealing MM’s logo is a big mistake. The last business that did it failed miserably. The ultimate prito place is gone and I think a carinderia has replaced it. I have noticed that some pinoys tend to copy stuff if they think that they wont be caught or if its not considered cheating. Ikaw pang mali pag di ka sumakay sa gawain ng grupo. uh-oh, the misfortune of being in the line of fire of MM’s ire…!!!! Thanks for the clarification on the logo regtistry. check if it infringes on your logo. cheers!